Summer is here in full swing on the GoMacro farm. This time of year is often associated with abundance. From the long-lasting days to the vegetables that yield enough to share with friends and neighbors. It is a special time we patiently await throughout the enduring winters here in southwestern Wisconsin. 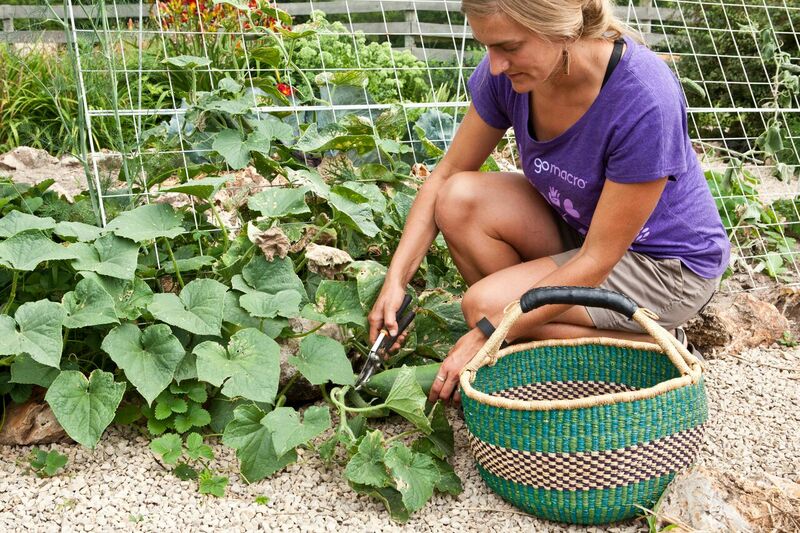 These are the days of walking out into the garden and harvesting everything needed for a delicious, healthy meal. Everything is grown organically, without the use of chemical fertilizers, pesticides, and herbicides. Instead, we use techniques that mimic processes found in nature, knowing that this is the best way to produce healthy food that nourishes our bodies and the environment. Through this careful tending to the land, we experience abundance. We give to the plants, and they provide a bountiful harvest for us. What is not made fresh to enjoy right away is preserved for the winter months by canning, freezing and fermentation. We create fertile soil by recycling our food and plant waste through composting. We interplant flowers that attract beneficial insects that eat the harmful ones. We use mulches made from organic straw and wood chips to both keep weeds out and hold moisture in. The recipe we’re sharing with you today is one that you can harvest, create, and eat all in the matter of an afternoon. 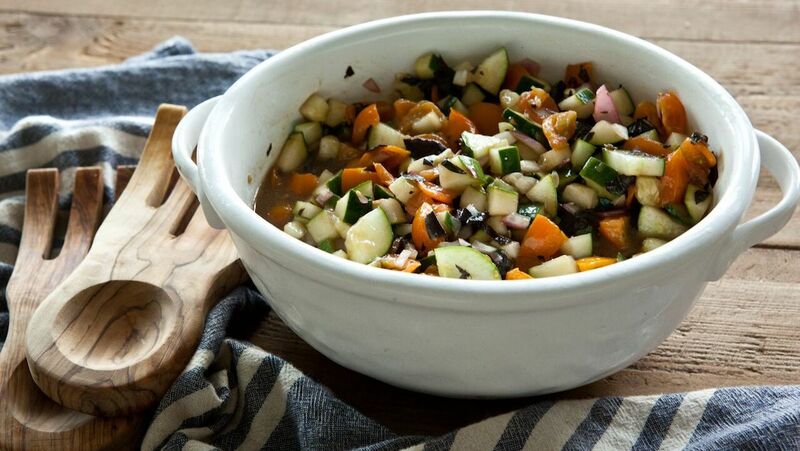 Two of the most prolific and giving of summer vegetables – tomatoes and cucumbers – make the base of this refreshing summer salad, while basil, onion, and garlic add rich flavor that only just-harvested produce can offer. What I love about this recipe is that it can be customized based on what you prefer or have on hand. If you have more cucumbers or tomatoes, you can simply add more. If you prefer a sweet onion over a red, use that. If you have the more common Genovese basil and not the red variety we used, that will work perfectly. Before diving into how to make the cucumber tomato summer salad, let’s explore some of the health benefits offered by the farm-fresh veggies featured in it! Cucumbers can be underestimated in their healthfulness because of their subtle flavor, but these veggies are loaded with good stuff your body needs. Made up of 95% water, cucumbers are a wonderful way to stay hydrated this time of year. As a member of the cucurbit family, they contain high levels of nutrients known as cucurbitacins, which may have anticancer properties known for preventing the growth of cancer cells. Tomatoes are hard not to love. Not only are they extremely versatile. They have all 4 major carotenoids, a type of antioxidant known for protecting against disease. They are also rich in potassium, fiber, and vitamins A, C, E, and K.
Basil, garlic, and onions are the flavorful glue that hold this salad together. In addition, each comes with unique nutritional benefits. Basil is an anti-inflammatory herb that can support liver health through detoxifying the body. It is also packed with vitamin K, which contributes to bone health. Garlic is well-known for its immune-boosting abilities, often recommended to fight colds. What you may not know about garlic, though, is that it contains antioxidants that may lower the risk of alzheimer’s and dementia. Onion, a relative of garlic, is not without its own impressive properties. It possesses a healthy dose of quercetin, a flavonoid that may play a role in preventing cancer. Onions are also good for digestion, rich in vitamin C, and can heal infections. Understanding where our food comes from and how it nourishes our bodies only adds to our enjoyment of it as we eat. This recipe is the culmination of a labor of love both in the garden and in the kitchen. Now, let’s eat! 1. 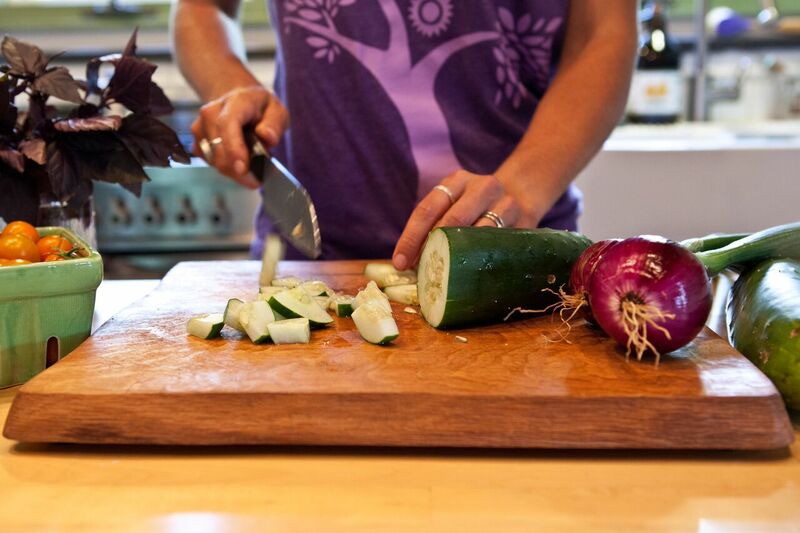 Gather all ingredients – from your garden or your local natural food store. 2. Chop veggies as outlined in the ingredients section. 3. 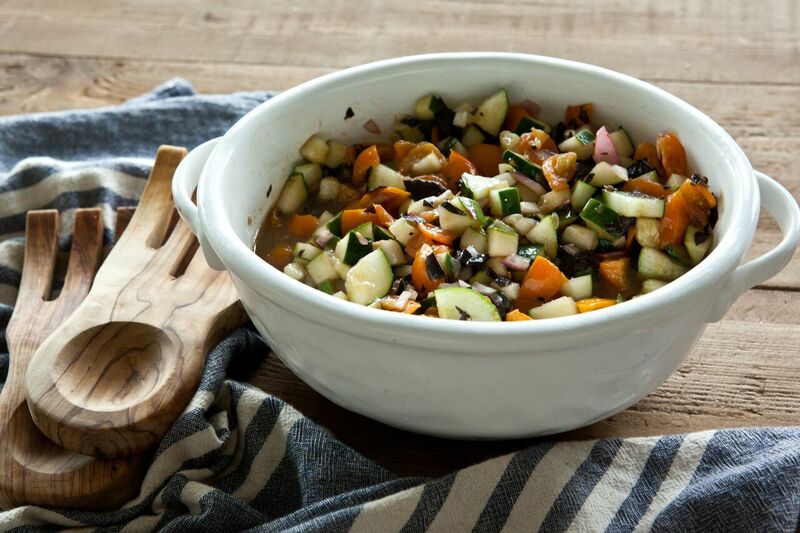 Prepare dressing by adding all ingredients to a small bowl and mixing thoroughly. 4. Pour dressing over veggies and combine well. 5. Let salad sit in refrigerator, covered, for a couple of hours before serving. This will allow flavors to be absorbed more fully.